A convection microwave oven is useful to have in a kitchen -- whether a professional restaurant kitchen or one in the home. 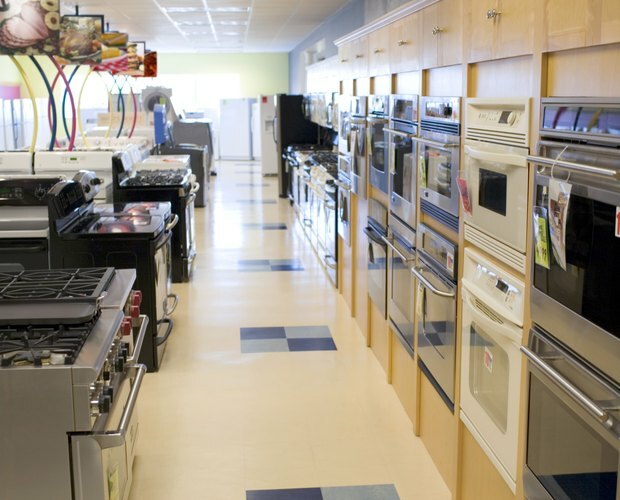 Unlike a conventional oven, this only radiates heat from elements installed in the top and bottom of the oven, or a microwave oven, which cooks through the use of stagnant microwave-heated air, convection microwave ovens work by heating the air with microwaves, then recirculating the superheated air inside through a fan installed in the back. As a result, the food cooks more evenly and quickly -- about 50 percent faster than a conventional oven and 25 percent faster than a traditional microwave oven. Cooking a steak in a convection microwave oven can be done in just a few steps. Select a lean cut of steak, such as strip loin (New York strip or Kansas City strip) or sirloin. 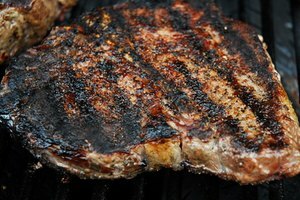 Cuts of beef with more fat such a ribeye steak may spatter in the superheated environment. Choose a steak around 1-inch thick. Pat the steak dry with a paper towel on both sides. Sprinkle both sides of the steak liberally with salt and pepper. Set aside. Preheat convection oven to 480 degrees F.
Place steak on a microwave-safe plate. Place steak in oven. You can cook up to two at a time if the steaks will fit completely on the plate; otherwise, cook them one at a time. Flip steak halfway through the predetermined time to brown the other side. Remove steak from convection oven. Check internal temperature in the center of the steak using an instant-read thermometer. Return underdone steak to the oven and cook for another minute or two. Allow steak to rest for at least five minutes before serving to allow the juices to redistribute within the meat. Turn off the convection microwave oven. 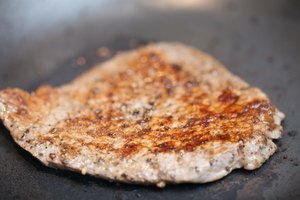 To add a little extra color, brown steaks in a large skillet for one minute on each side before placing in convection microwave oven. 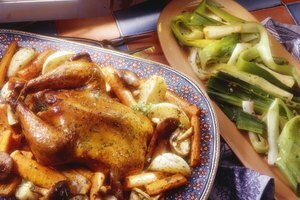 Remember to subtract the skillet cooking time from the convection oven cooking time.